Edwin Raben DipWSET is an award-winning Dutch sommelier and chairman of the Dutch Guild of Sommeliers. Having held positions in a number of notable establishments and run his own restaurant, he has now taken his skills to the digital world and become the country’s first “online sommelier.” He tells us his journey into wine and how to capitalise on Dutch consumers’ rising interest in wine. You were known as the best sommelier in the Netherlands for 10 years. How did you begin your career and what helped you reach such success? I was born and raised on a small farm and had a fascination for aromas and flavours from a young age. We grew all kinds of vegetables and fruits and soon I started to cook with them, so it was logical that I would become a chef. During my military service, I completed a wine education programme. When I left, I still had my job as a sous-chef but wanted to do more with wine, so I left the kitchen and became an assistant sommelier. I went to various companies starting in at Landgoed Lauswolt in Friesland, then the famous Amstel Hotel in Amsterdam, where I came in touch with the finest wines and dishes. At that time I participated for the first time in a Sopexa sommelier competition and won. A year later, when working as a sommelier at the Zwethheul in Delft, I represented the Netherlands on the International stage in Paris. There I came third after Canada and the United States. Then the publicity really started to grow and I soon became a figurehead, hoping to remain modest. I have always found it an honour to be able to represent sommellerie. Having previously co-owned a restaurant, Wolfslaar in Breda, what did you learn from this experience compared to your time working as a sommelier in other restaurants? When I was 30, I started this fantastic project with a business partner. It was very different, of course, to paid employment. The 10-hectare estate with two historic buildings was completely renovated and, for the first time, turned into a restaurant and country house with lounges. We employed personnel and the costs and expenses were closely monitored. Also the stock of wines and other beverages had to be built very carefully in the beginning. After all, the money can only be issued once. This period was a great learning process for me and I realised that running a restaurant business meant that you quickly became an all-rounder. After all, you had to have an overview of everything, such as sales, marketing, accounting and, most importantly, a feeling for the people who work with you, who come to visit you and who deliver to you. The international recognition [of WSET] and the availability of [its] teaching material in many languages is unique. Your website, edwines.com, positions you as the country’s first "online sommelier." What do you hope to achieve with this channel? Edwines.com has been around for nine years. This includes a number of things: WSET Shop, an online wine store, and Edwines Consultancy, with which I execute a wide variety of assignments and can also fully execute my work as an online sommelier with advice. The last offspring is the Edwines School, where I want to train small groups of people in the fascinating world of wine and spirits. I love to enthuse people. As a WSET Approved Programme Provider, what inspired you to teach WSET qualifications and what do you think sets them apart from other wine education options? I have been an educator and course leader at the Academy for Gastronomy for almost nine years and I am very familiar with the teaching methods of WSET. I have a lot of respect for the way in which WSET educates at the different levels. The Systematic Approach to Tasting is a really big plus, as it is different to the methods used in other courses in the Netherlands, and the exams are very well put together. The students must apply their knowledge by answering open style questions and explaining why a wine tastes the way it tastes. The international recognition and the availability of teaching material in many languages is unique. I have always found it an honour to be able to represent sommellerie. Dutch consumers are said to be drinking wine when dining more frequently and have increased curiosity about wine origin. Why do you think this is and how should restaurants and retailers capitalise on the trend? The quality of Dutch restaurants is still rising. The focus on cooking, patisserie and barbeque is also often in the media, and interest in wine is not lagging behind. We can see that wine at the table has become much more common where consumers used to have a glass later in the evening. The Dutch wine drinker has also become more adventurous and does not endlessly endure the same wine or grape variety. Experimenting and discovering more diversity is more common. This is also the case with spirits and other drinks. All these changes make our profession so fascinating. The restaurant and bar sector must, in my opinion, respond to this and always try to renew and seduce their guests with a unique glass; more options by the glass and changes with seasons, dishes and trends. But I have to add that the classic wines also have to keep a place. The uniqueness of a glass of Muscadet or Beaujolais should not be underestimated. 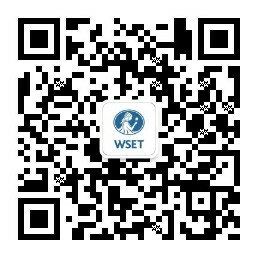 To find WSET course providers in the Netherlands, check out our Where to study page.